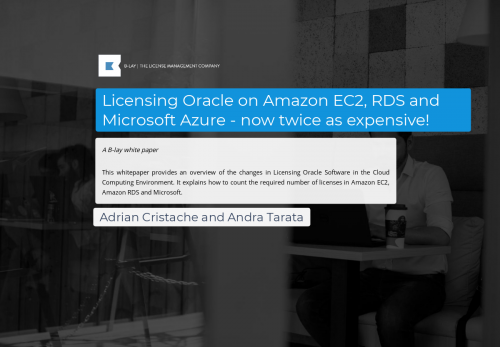 Licensing Oracle on Amazon EC2, RDS and Microsoft Azure - now twice as expensive! This whitepaper provides an overview of the changes in Licensing Oracle Software in the Cloud Computing Environment. It explains how to count the required number of licenses in Amazon EC2, Amazon RDS and Microsoft.